I felt like a bad Mom... letting you walk up the path just a little bit more when I was too scared to go another inch! It wasn't the gator on the side I was afraid of, but what might have been lurking unseen. Your Mom is a big fraidy-cat. I hope that you will never be too brave though, when it comes to wild creatures! i promise, promise, promise this was taken with ZOOM!!! and he was not as huge as he looks here! I hope your weekend is fantastic... and warm! Thank you for telling me that was shot a good distance away. I would be a fraidy cat, too. I just would. It is warmer here, but the rain has moved in and makes it feel cold. It's all OK, though. We have heat and warm drinks and socks! I'm calling Family services….you were shielding yourself with your child from a 'gator. :) LOL! You know they have BIG teeth right? 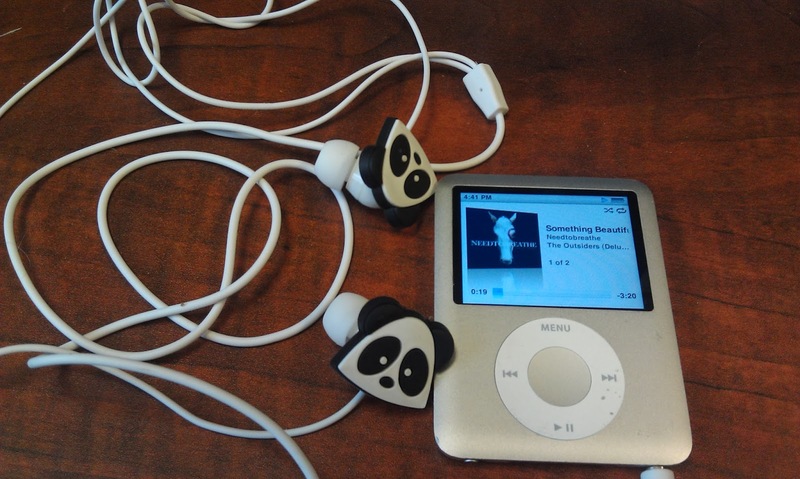 I don't know why you blame the panda headphones on the battery loss…perhaps it was all the other things in your purse??? Even with a zoom that looks a bit scary to me! That is one animal we don't have on this coast and I have to say I don't miss them : ) Cute headphones - hope you find a way for them to quit listening to music without you!